Welcome to the homepage of Muzzi Moto. 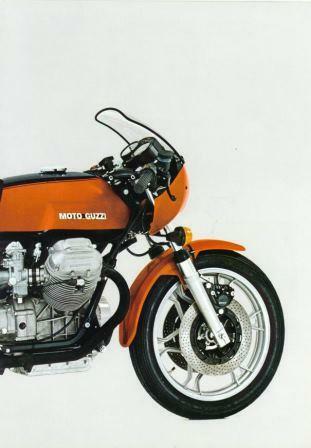 Moto Guzzi sales is our specialty, primarily in twin-shock Moto Guzzi's from the 1970's, 1980's and early 1990's. As	Moto Guzzi sales and service specialists, we aim to provide the best possible service for anyone wishing to purchase (or indeed sell) an older Moto Guzzi. 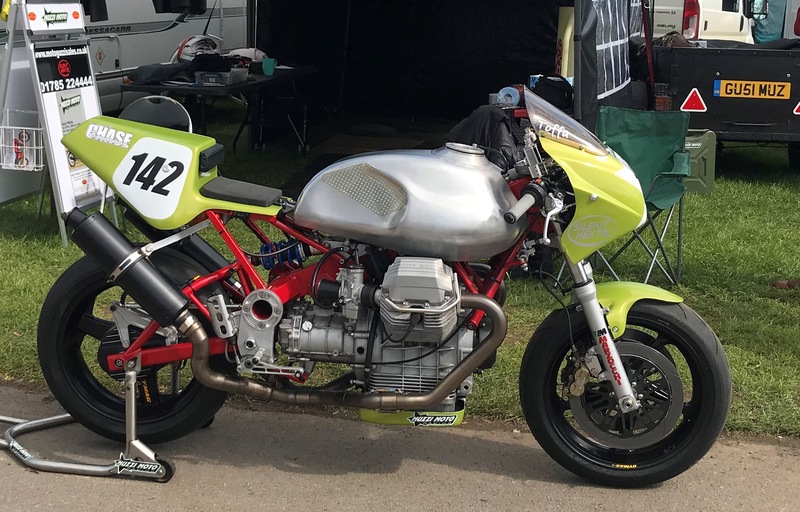 Who are we: Working with our partners NBS, who are the UK's most established Moto Guzzi specialists, we are a independent (i.e. 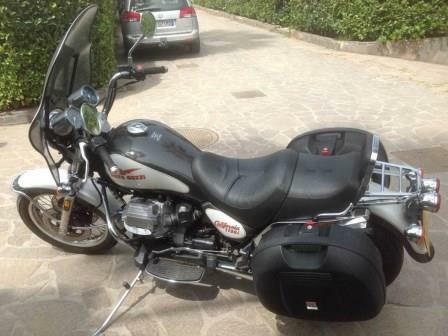 not part of the main dealer network) online company, specialising in older Moto Guzzi's. Our stock: As we know there is a high chance we will see both bike and customer again (a high proportion of our business is repeat or recommended), our bikes tend not to depreciate heavily. 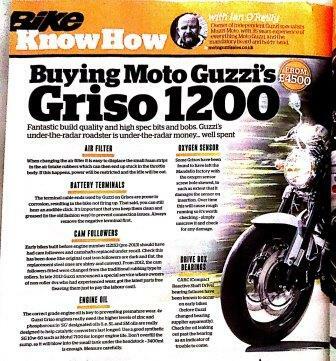 Our bikes will be fully sorted and have a wealth of Guzzi knowledge applied to the preparation before sale. 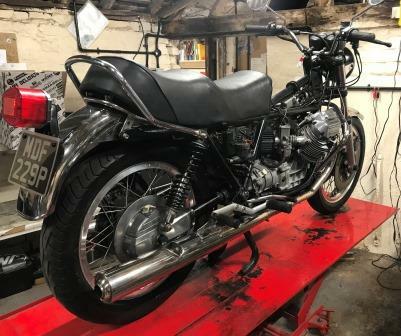 Prices: We are very price focused, our aim is to sell Moto Guzzi's at the same price a private sale would ask for the equivalent vehicle - in some cases less! Warranty: One of the biggest benefits in buying from us is security. All our Guzzi's come with our own six month warranty backed by NBS (who have been Guzzi specialists for more than 20 years). The full warranty terms are covered here. Delivery: We can arrange delivery on all our bikes at very competitive rates. This includes Scotland ! International Shipping: We ship Moto Guzzi's all over the world on a regular basis. We have a number of specialist trusted partners we work with. Please contact us to request a quote to ship any of our Guzzi's to you. It is a lot less expensive than you would think ! Viewing is strictly by appointment only. We are located less then five minutes from J13 on the M6 near Stafford. Contacting us: Email is the best way to contact us (thanks). §Any make/model/age of motorcycle taken in p/ex. Note: we very often sell bikes as they are being prepared !